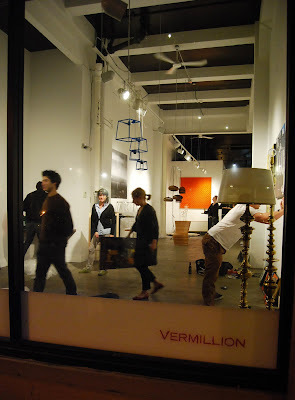 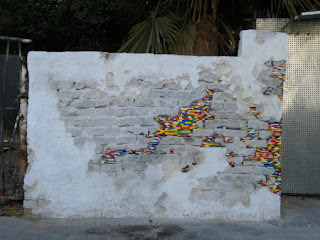 A friend brought this artist installation using legos by Jan Vormann to my attention the other day. 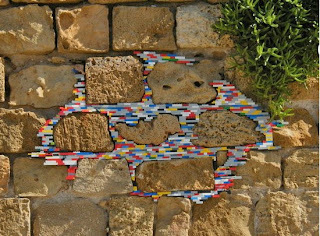 I just love this brilliant use of these bright colorful plastic Legos to to fill in between ancient bricks on the side of the buildings around Italy and Israel. 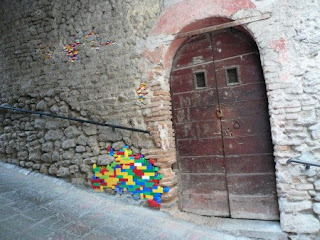 What an unexpected way to incorporate these legos. The contrast of color, material, purpose, and association between the bricks and the legso are virtually the polar opposite. 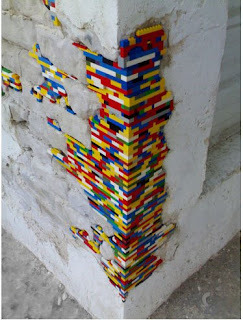 Yet, it seem as if that's where the Legos should live all along...just perfect.